As the holiday keeps getting closer, our staff has been discussing some of their plans. If you aren’t sure what to do yet, join us for some of the festivities! 1. Spending 4th of July with little ones…. 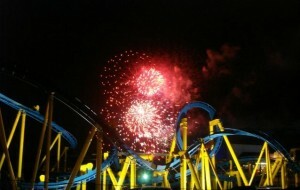 Enjoy a day of fun with family and friends at Six Flags Great Adventure in Jackson, N.J.. The park will be running normally in conjunction with special events. Starting at noon, there will be an outdoor picnic until 6 p.m. Then relax and enjoy the rides until later in the evening at 10 p.m. when an elaborate firework and laser light show will be displayed over the lake. Picnic tickets can be purchased online, separate tickets for 4th of July festivities must be purchased for existing ticket holders. 2. In the mood to witness something a little less traditional? Head to Coney Island for Nathans Famous Hot Dog Eating Contest. Sonya Thomas and Joey Chestnut hold the current titles for female and male champion. Each will be competing on Thursday, July 4th. The competition starts at noon and will also be broadcast live on ESPN. Earlier this year, Nathans flagship restaurant suffered damage from hurricane Sandy, yet they are still dedicated to hosting this event and donating 100,000 hot dogs to the Food Bank of New York City. Go show your support for one of America’s oldest hot dog brands, and some of the most unique athletes. 3. Fireworks are a staple when it comes to celebrating this Day of Independence. Macy’s 37th Annual 4th of July firework display will be hosted on the Hudson Bay. Viewers from both New York City and New Jersey will have access to this great event. 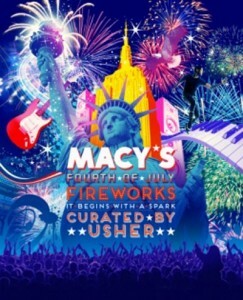 The event was created by artist Usher as he personally arranged a 25 minute soundtrack to accompany the 40,000 firework show. You can also expect performances from: Nick Cannon, Taylor Swift, Selena Gomez, Mariah Carey, and Tim McGraw.